Create vibrant art with washable gel pens from Crayola. 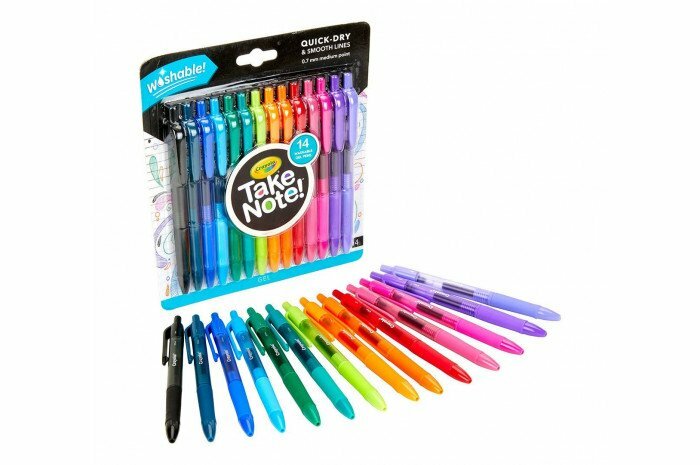 Each washable gel color lays down smooth and streak-free with a cool click of these ergonomic, cushioned-gripped pens. Create colorful special effects with the washability you expect from Crayola. Perfect for taking notes, art projects and organizing documents by color. 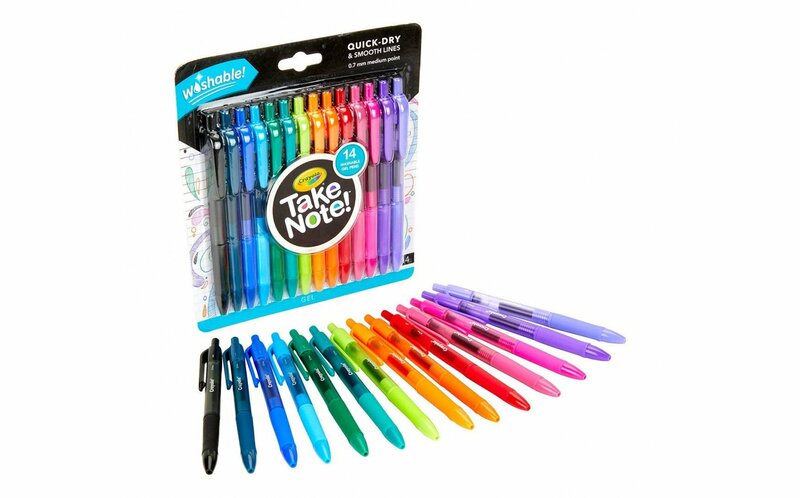 Includes 14 washable gel pens in unique, vibrant colors.